The most important matter for every Muslim is the correctness of his beliefs. Islam is established on the basis of sound creed and it opposes all false superstitions and erroneous systems of belief. Thus, it is essential for every Muslim to make certain that his beliefs are correct and in accordance with the Quran and authentic Sunnah of the prophet (PBUH). 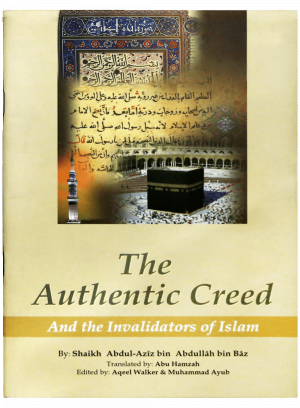 This small but important book covers all basic information and we hope that readers will recognize the importance of this treatise by Shaikh Ibn Baz.